During the summer of 1955, local residents became concerned about the churchless community of Brielle in which they lived. Mr. William W. Ragsdale, long an admirer of The Rev. Dr. Norman Vincent Peale, wrote to Dr. Peale about the possibility of converting the Frazer mansion at the top of the hill on Rankin Road to a Peale Memorial Church. Mr. Eugene Rathjen, owner of that property, had most generously offered to lend it to a church group for a trial period prior to purchase. Dr. Peale declined the honor, but contacted the New Jersey Council of Churches and found that The Re¬formed Church in America would be interested in helping to found a church in Brielle. A survey was taken of about 250 homes in Brielle by Rev. Irving H. Decker, Rev. Harold F. Schadewald and Rev. Robert G. Dickson and the results of the survey were pre¬sented at a public meeting held in the Borough Hall (which is now the firehouse on Longstreet Avenue), sometime shortly after the New Year, 1956. 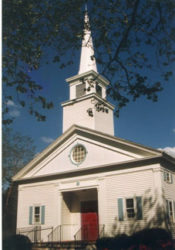 Representatives of other local churches were contacted and all endorsed the selection of The Reformed Church in America as a sponsor of a church in Brielle. A Steering Committee was formed with Co-Chairmen Mr. Myron L. Taylor and Mr. William G. Rodgers. The first meeting of this committee was held March 23, 1956, at the Taylor home with the addition of Mr. John M. Smith as Treasurer and Mrs. Allan L. Dunn as Secretary. Other members of this original steering committee present were Mrs. Myron L. Taylor, Mrs. William G. Rodgers, Mr. Allan L. Dunn, Mrs. John M. Smith, Mrs. Darcy Scudder, Mr. & Mrs. Robert Shotwell, Mr. & Mrs. Harry Speicher and Mr. & Mrs. William A. Statesir. This committee served until the formal organization of the church on March 3, 1957, when a Consistory was selected and a Service of Organization for The Church in Brielle was held in the school by the Committee of Organization of the Classis of New Brunswick with 53 charter members repre¬senting seven denominations. At this service, the nomination and election of Elders and Deacons for the first Consistory was held. Those nominated were for Elders – Allan L. Dunn, William A. Statesir, and Myron L. Taylor; for Deacons – Alstyn F. Randolph, Robert A. Shotwell, and John M. Smith. On April 27, 1957 land consisting of over an acre of ground at the corner of Riverview Drive and Rankin Road was purchased from the Richmond Holding Company as the church site. An extension of the parking lot at the rear of the property was donated to the church by Jesse Ware who lived next door on Rankin Road. On June 7, 1957 the Building Committee held its first meeting with Myron L. Taylor as Chairman. That same month, John Dodd, who lived on Riverview Drive next door to the church property, was retained as architect and was instructed to develop plans emphasizing the beauty of simplicity as in early New England church buildings. In September 1957, the first full-time minister, the Rev. Lynn T. Joosten, was installed. He had been serving as associate pastor of Bellevue Reformed Church in Schenectady, New York. He and his new bride, Shirley, moved into the newly-acquired parsonage at 519 Borrie Avenue, Brielle. On December 1, 1957, Mr. Jesse Ware was the successful bidder to build the new church, and on December 24 the ground-breaking for the church took place. By August of 1958, the first portion of the building project was completed, and services were transferred from the public school. An event of historic importance took place in Brielle in May, 1958, when the first church spire was placed atop The Church in Brielle. This spire was a FIRST because it was made of fiberglass – the first one known to be so constructed and to be put into place by a crane. It was constructed at Forsberg’s Boat Works on Beaver Dam Road, Pt. Pleasant, N.J. Another FIRST was that “Music from the Spire” was played each evening during Christmas week 1958 at 7 p.m. This was the first Christmas season that Brielle residents heard music from a church steeple in the borough. 1. Introduce yourself to those around you whom you do not know, even if you have seen them in church before. seek them out the next time you spot them in church again. 3. Give names and, if possible, addresses of new people to me (the minister) or ask them to sign the guest book. 1. The sweetest sound a person can hear is that of his own name. 2. If you’re the timid type, breathe a little prayer for courage. It was during Rev. Bosch’s ministry that a new parsonage was purchased. In 1968, as a result of a very generous gift to be used for the church’s capital needs and for a community service program, Mr. Stanford M. Welcker was employed by the Community Project Committee headed by E. Dayton Jones. Because of his dedication to this work, Mr. Welcker was ordained on September 26, 1971, by the Classis of New Brunswick under a special dispensation from the General Synod of The Reformed Church in America. On October 27, 1968 a Service of Dedication was held at 6 p.m. in the newly enlarged church sanctuary. The speaker for the evening was The Rev. Dr. Norman Vincent Peale, minister of the Marble Collegiate Church in New York City. His sermon topic was “Dynamic Faith Motivates Dynamic Living.” There was seating for 300 people in the sanctuary and 300 in Fellowship Hall and in two rooms in the Christian Education wing. There was closed circuit television in Fellowship Hall and in the two rooms. Dr. Peale personally greeted those persons in the overflow areas. This was a day of rejoicing for all members of the church – to have completed the three-part building project and to have a beautiful New England style church for the benefit of all members and friends in this community and surrounding areas. In March, 1969 The Rev. Mr. Bosch resigned as pastor to take a church in Mt. Prospect, Illinois. A farewell covered-dish supper was held for Randy and Carol on Friday, March 21, 1969 and for the next few months, the interim pastor was The Rev. Harold H. Klein. On June 29, 1969, it was announced that The Rev. William Howard Jewett had accepted the unanimous call to be pastor of The Church in Brielle. He assumed his duties on September 1st, and the installation was held on Sunday, September 21, 1969. In 1974, in cooperation with the Shore Area Council of Churches, The Church in Brielle took leadership in developing and staffing the first Shore Area CROP Walk and that same year, copies of the Today’s English Version of the Bible were distributed to all the homes in Brielle along with an invitation to Bible Class. On November 25th, 1979 a reception was held in Fellowship Hall for Rev. and Mrs. Welcker to show the appreciation of the congregation for eleven years of dedicated service in the Community Project of The Church in Brielle. Reverend William H. Jewett served CIB until his retirement in June 1995. During the 26 years of his ministry the Church grew, matured, and expanded its mission and geographical area of influence and membership. Reverend Jewett was involved in not only the community but was also active with Classis and Synod responsibilities. During his era, CIB was blessed with a minister who shared with us his philosophies and wisdom with enthusiasm each Sunday morning. During Reverend Jewett’s ministry, an additional parsonage next to the church was purchased and the Reverend Dennis Ferguson was installed as Associate Minister in 1983. An active support for youth and adult educational and fellowship programs expanded the church’s ministry during Reverend Ferguson’s tenure until 1988. From 1989 until 1993 these programs were continued and enhanced during the ministry of Ms. Karen Jaharian Cross as Director of Christian Education and Parish Life. Her enthusiasm and creativity was instrumental in the growth of programs and members at The Church in Brielle. Following the retirement of Rev. Jewett in 1995, Interim Pastor Ronald Lokhorst led the congregation and nurtured its movement while the Search Committee looked for a new pastor. The Consistory called The Reverend Paul J. Walther, a native of Walkill, NY who, in 1974 was ordained to the Ministry of Word and Sacrament by the Classis of Orange of the Regional Synod of New York and accepted the call to the pastorate of the Peapack Reformed Church where he was installed as the pastor and teacher of that church by the Classis of Raritan in September of 1974 and continued in that office until February, 1990. The Classis of Brooklyn of the Regional Synod of New York called Paul to become the founding pastor of the New Church Development project in St. Croix, Virgin Islands in July of 1991 where he served until coming to Brielle. Paul was installed as the Minister of Word and Sacrament at The Church in Brielle on October 13, 1996 and continues his ministry to this day. CIB continues its support of local & global charities including Coastal Habitat for Humanity, Reformed Church World Service, The Foodbank of Monmouth & Ocean Counties, C.H.A.N.T. and Interfaith Neighbors who receives the proceeds from an annual Holiday Concert by The NJ Chamber Singers. 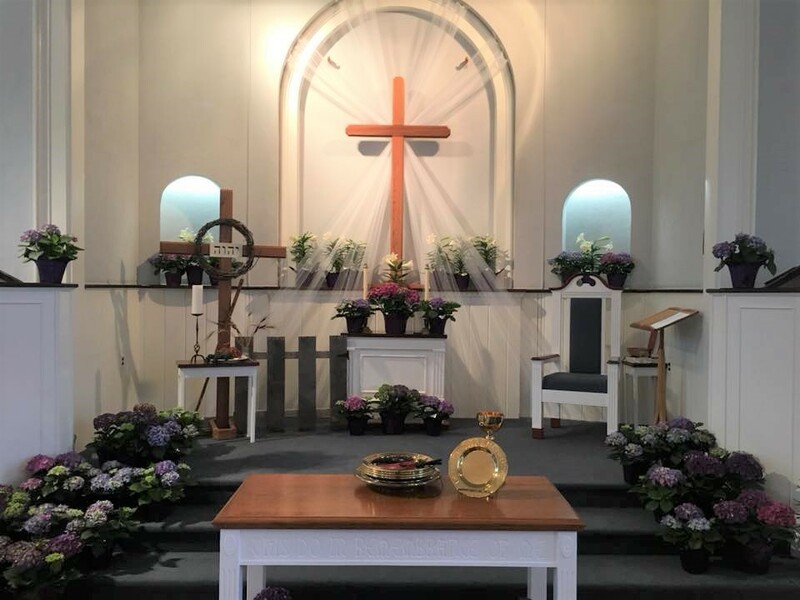 The Church in Brielle Nursery School has its home within the campus of The Church in Brielle and has operated continuously since 1958, soon to be celebrating their 50th anniversary. The education and love their students receive from their dedicated teachers are unmatched. The commemoration of 50 years of ministry in 2007 will bring numerous events and celebrations to the church and to Brielle. CIB looks forward to the next 50 years with hope, love and the assurance of God’s grace as the Word and Works of Jesus Christ continues to be spread throughout the area.